Listen to a pre-release track from Bernstein's "Mass" with Yannick Nézet-Séguin conducting the Philadelphia Orchestra. Bernstein: Mass - 2. 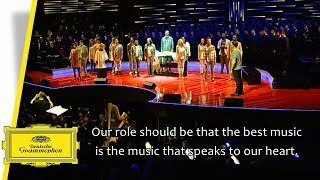 Hymn and Psalm “A Simple Song". 2. Hymn And Psalm: "A Simple Song"
2. Trope: "I Don't Know"
3. Trope: "Half Of The People"
4. Trope: "World Without End"
5. Trope: "I Believe In God"
2. Trope: "I Go On"
a. "Agnus Dei, qui tollis peccata mundi"
b. "Sing God A Secret Song"
. . . [the recording] has tremendous energy . . . Maybe the technical term for it all is simply this: groovy . . . Nézet-Séguin might seem like just a bystander amid all the activity, but the fact that this recorded account is as coherent as it is attests to his multitasking strengths . . . it is a powerful artifact, a musical and theatrical response to a deeply troubled time that has cycled back into even greater relevance in the three years the recording has been in the can. That¿s more benefit accruing to the common good than can be claimed for many a masterpiece. Unified under his baton, Yannick Nézet-Séguin forges a powerfully emotional interpretation of this unique work -- a cross-section of European and American Music.
. . . this Philadelphia production is well done, enthusiastically presented . . . Audio is fine stereo on this new DGG recoding successfully balancing the large performing forces.
. . . the fervent faith Nézet-Séguin has in this piece does come through. His tempos are often urgent and generally don't veer much from the composer's example. The orchestral meditations burrow deeply into Mass' darker side and the near-free-form freakout in triple meter just before the Celebrant's nervous breakdown has all the raucous, jazzy exuberance you would want. This year on August 25, the world celebrates the 100th anniversary of Leonard Bernstein. 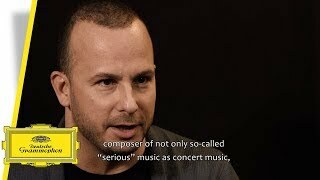 We met with Yannick Nezet-Seguin to discuss #Bernstein100 and the charisma of the great conductor. "I think Leonard Bernstein showed all the musicians today how to be a musician. But he was ahead of his time." 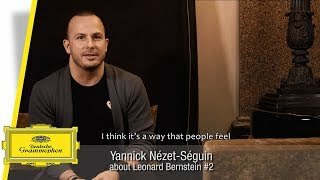 Yannick Nezet-Seguin, an exceptionally gifted conductor himself, explains why he recorded the Bernstein Mass in 2018 and why Bernstein is one of his main inspirations. "In the end, we are all responsible for carrying a global legacy that is true love between all human beings." 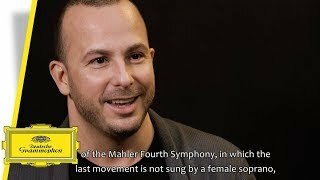 The designated MET conductor Yannick Nezet-Seguin met with us in Berlin to talk about the importance of the somewhat underrated Bernstein Mass which he just released on Deutsche Grammophon. "Mass is embracing all of the various Bernsteins we know." We met conductor Yannick Nezet-Seguin in Berlin and talked about the different musical elements of the Mass, the spiritual journey and melting pots of this work.